It was not long ago that the Health Minister, Aaron Motsoaledi promised South Africa decent health care. He put forward the White Paper regarding NHI, National Health Insurance, saying it would soon be available. His definition of soon however, is different to yours and mine. In fact, the elusive White Paper has already been over 2 years in the making. Unfortunately its route has to go through Treasury as well as Cabinet. Apparently there are also other major issues to solve before this Paper becomes public knowledge. Firstly, the paper must define the role of the private medical aid scheme regarding NHI. 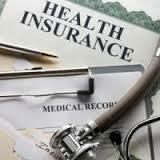 National Health Insurance is insurance that all the working people will have to contribute for. Government is trying to ensure that all its peoples have access to at least basic healthcare. Another issue needing to be dealt with regarding the insurance is the role that all the provinces of South Africa will play in administering the NHI. This will require a central NHI fund. This is to finance the National Health Insurance fund. It remains to be seen what powers as well as what money will go to each province. In South Africa, private healthcare is a huge multibillion-rand industry. And it is not going anywhere just yet. At the most recent meeting of the Board of Healthcare Funders, they paid attention to providing more affordable health packages. One businessman who has established a few lower-cost private schools said he wanted to launch lower-cost clinics too. That is because he believes that the NHI will not work. Motsoaledi has said that there will indeed still be a role for the private medical aid to play but he did not elaborate further. Some political parties in south Africa such as the South African Communist Party believe that the private medical schemes should only be there to cover luxury extra procedures such as plastic surgery for example. The CEO of the biggest medical scheme in South Africa, Discovery Health, has stated that so far, they had had no individual consultations yet about NHI. Discovery had attended ‘stakeholder’ consultations that had been called by the National Department of Health. The CEO added that it was difficult to say what the private medical schemes roles would be, but questioned whether households in South Africa would be able to afford both. So far there has been no clarity on the benefits that the NHI would provide. Will NHI really meet Medical Needs? Most middle-class South African people fear that the NHI will not be able to really assist them in times of real need. Because of this, people could die or end up in pain or worse, disabled. Unfortunately this is the current reality that many poor South Africans face who do not have medical aid. If this country wants to prosper, it certainly needs to have a healthy nation where its people have access to medical resources. At the moment the best health care is privatised. South Africa is not producing enough nurses and doctors to meet the country’s burgeoning population growth. The government will need to introduce its NHI slowly so as to avoid the top medical specialists from leaving the country. But as NHI is a big revolutionary concept, it makes sense that introducing it is not going to be fast or easy. But as soon as that White Paper gets to the table, then real discussion and bargaining can start.